The banks and other lenders are falling over themselves at the moment to get people to take out new mortgages or transfer existing mortgages to them. UK interest rates have never before been lower than they are today and most financial experts aren’t forecasting any rise in interest rates for at least another twelve months. That’s great news for home owners, because mortgage repayments are currently so low, but that won’t last forever. If you are taking a mortgage today, then it is important to remember that you will probably have it hanging around your neck for the next twenty five years and that interest rates will inevitably go up again at some point. If you are taking on a mortgage, then be sure that you know what you are signing up for. Read the small print, ask, if you don’t understand something, and read this simple guide to what the different types of mortgage interest deals mean. Interest only mortgages, as the name suggests, are mortgages where the repayment amount does not include any capital repayment. That means that monthly repayments are lower than with a repayment mortgage, but you never repay what you borrowed. In the past, they were paired with endowment policies that were designed to eventually repay the capital, but, as endowment policies failed to perform, repayment mortgages became less popular. You can still get interest only mortgages, but remember, if the value of the property falls, you will be left with the gap between what you owe and what you can sell the property for. With a fixed rate mortgage, the lender fixes the interest rate for a specified amount of time, usually two, five or ten years. For that period that is specified, the interest on your mortgage will not vary with the base rate. This means that you know exactly what your outgoings will be for that period, but the interest charged will be higher than the current variable rates and the fees that the lender charges will also be greater. Watch out, too, for the fees that you would have to pay, if you want to move and repay the mortgage early. Standard variable rate mortgages are usually the most flexible, so you can repay your mortgage at any time, with no penalty. The standard variable rate, or SVR, is the standard interest rate that the lender charges and it will vary as the Bank of England’s base rate does. The advantages of an SVR mortgage are lower interest rates than a fixed rate mortgage and the greater flexibility. The disadvantage is that your repayments may vary, with no upper limit, from day one. 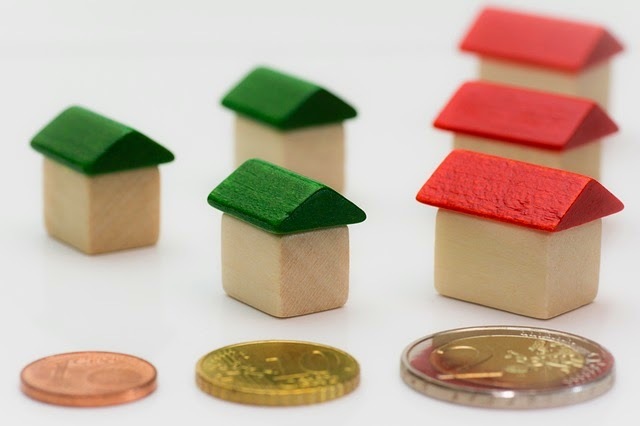 Standard variable rate mortgages usually increase and decrease, as the Bank of England’s’ base rate does, but they don’t have to follow the base rate, the lender could, in theory, set any rate they like. A tracker mortgage, however, guarantees that the interest rates will follow another interest rate, usually the Bank of England base rate. Most tracker rates only last for up to five years, although lifetime tracker mortgages do exist. With a tracker mortgage, the rates can vary, and there may well be fees payable, if you move and pay off the mortgage early. The interest rate charged on a capped rate mortgage, will vary in line with the lenders standard variable rate, but there will be maximum rate above which the interest will not go. With this type of mortgage, you know what your maximum amount payable would be, but the lenders do set the cap pretty high in the first place. The interest rate will also be higher than a standard variable rate mortgage and the fees will probably be higher too. A discount mortgage is one the lender offers a discount off their standard variable rate, for a limited period at the start of the mortgage, usually two to three years. Repayments will still vary with the base rate and discount mortgages are normally less flexible than a straight forward SVR mortgage. Remember, too, that the discount that is being is offered is a discount on the lenders standard rate. When you are comparing discount mortgages, look at the actual repayment amounts and not just the percentage value of the discount. An offset mortgage is one where you have all your accounts with one lender and they take account of the money that you have your current account and savings accounts when they calculate the interest that you have to pay. Repayments will still be variable, but the offset of what you owe against what you hold in other accounts can reduce the total time that it takes to pay off the mortgage. To get an idea of what your mortgage repayments would be, follow the link below and it will take you to a mortgage calculator that has been provided by the Telegraph. Remember, though, a mortgage calculator is only for guidance.